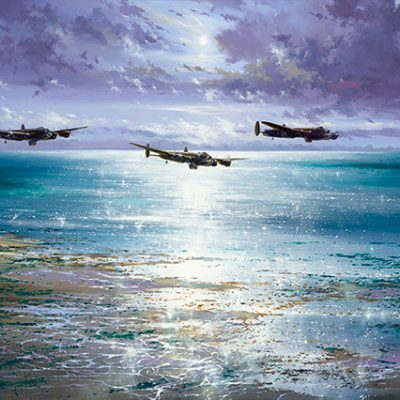 A Lancaster crew arrives safely home at an airfield somewhere in England, during the latter stages of World War Two. 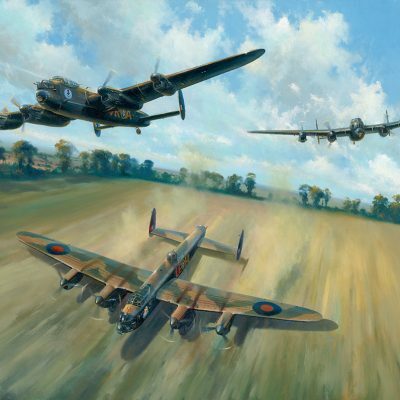 The drawing captures the emotion and relief of the completed mission, the majesty of the Lancaster bomber and serves to honour the brave young men who flew them. 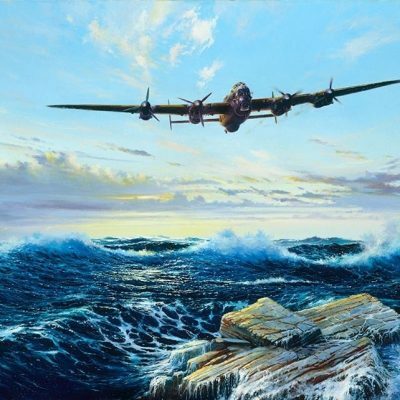 It is perhaps a fitting tribute to the wonderful veterans of Bomber Command.